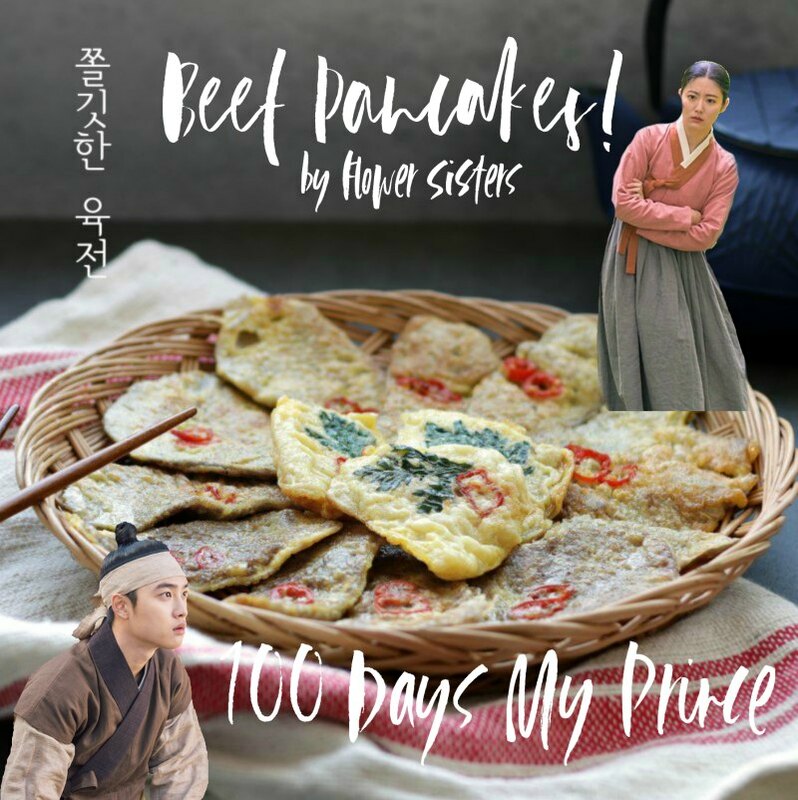 Korean Beef pancakes, or yuk-jeon (육전) or soegogi-jeon (쇠고기전), are high on my list of Korean recipes to try due to 100 Days My Prince. 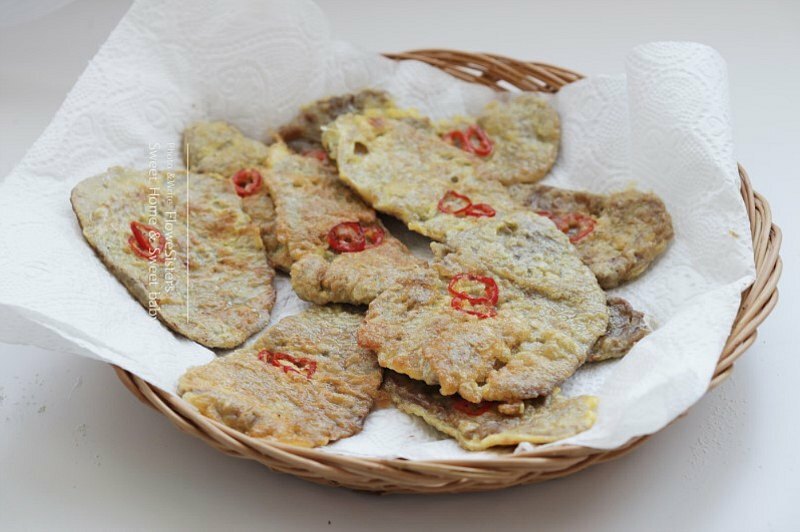 This is that food item that Lee Yool (aka Won Deuk-i!) always wants to eat. He even thought about eating one that fell all in the dirt. Well guess what? We have the recipe! There are a few recipes floating around the internet, one is by Maangchi whose book we own and love. Hers is in English. But we decided to go with Flower Sisters for this post because they have a lot more photos. 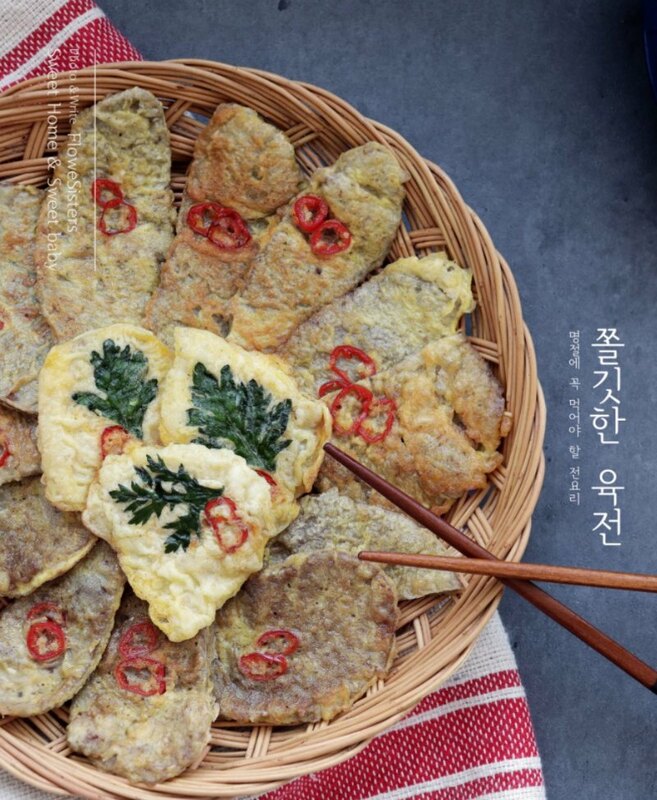 Their site is in Korean, but looking at their photos alone is enough to figure out how to make this dish. This recipe is so simple. 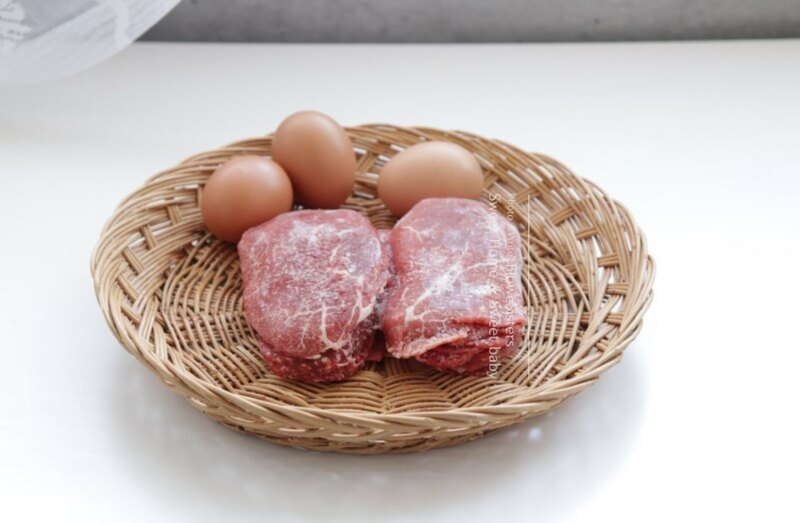 You will need around 200g of loin or rump, 4 eggs, flour/pancake mix, salt & pepper. It takes about 20-30 minutes to make and serves two people. Maangchi uses a couple more ingredients in her recipe, but we thought we would keep it extra simple for this one. Which is why we like the Flower Sisters recipe. 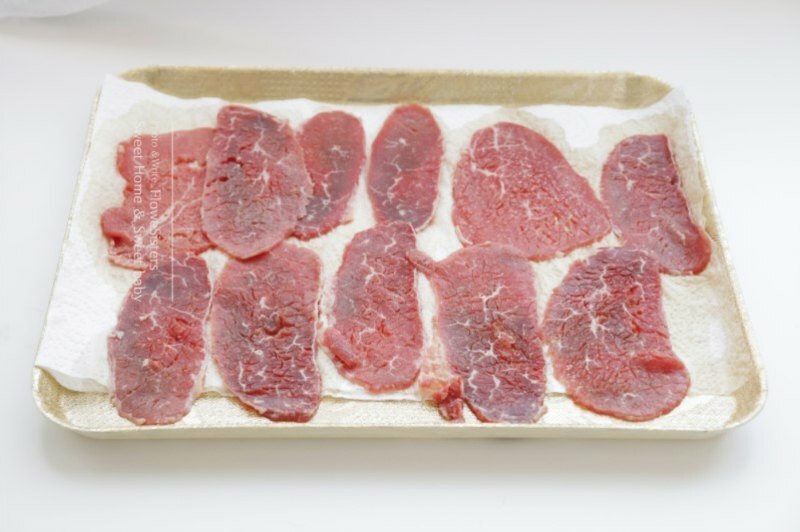 The loin or rump meat is very thin cut. It is super hard to find this cut at the usual USA grocery store, but not unheard of. If you go to a Korean store, such as HMart, then you will find this cut in abundance. You can always ask the meat person to make it if you don’t see it. For this recipe, you want to season the meat well with the salt and pepper. Flower sisters mentions that this is one of the most important parts of this recipe. So be sure to sprinkle enough salt and pepper evenly, everywhere. This recipe uses 4 eggs, but only two egg whites. Break yolks and add two pinches of salt. 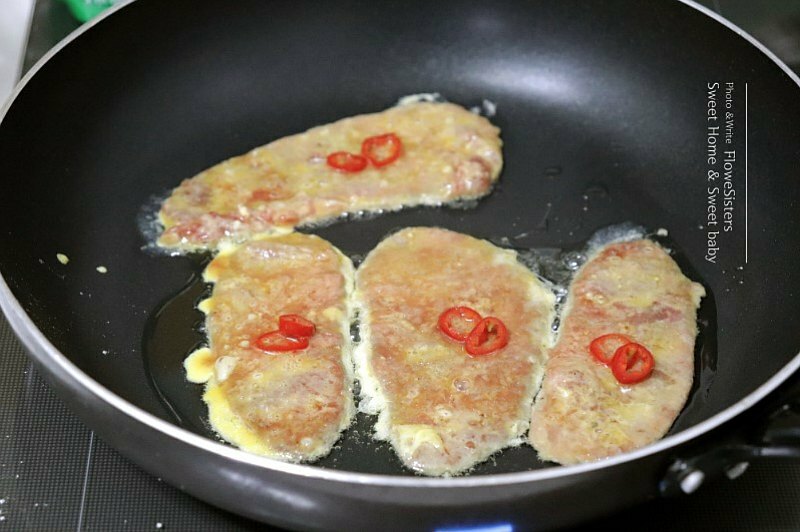 You use more egg yolks because the egg yolks prevent blood from showing on the surface of the Yook-jeon, which would otherwise give it black spots while cooking. 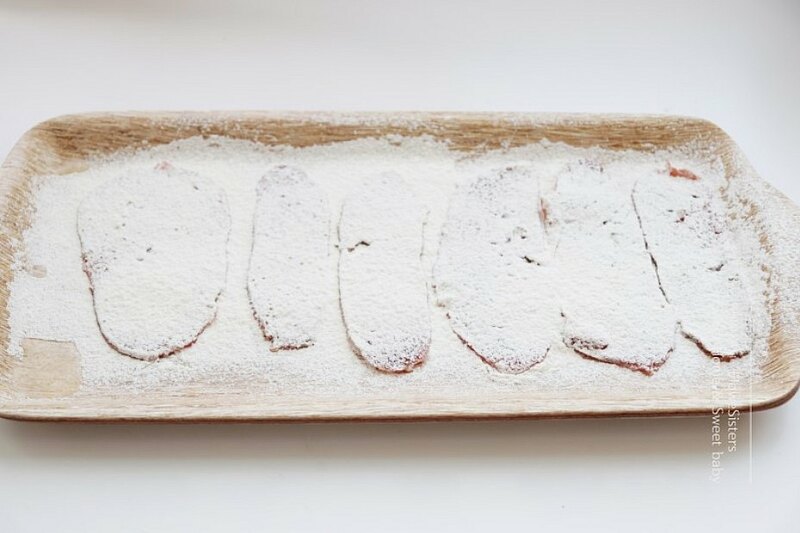 You can buy Korean pancake mix for this, or you can just use flour or US style pancake mix. It is really up to you. 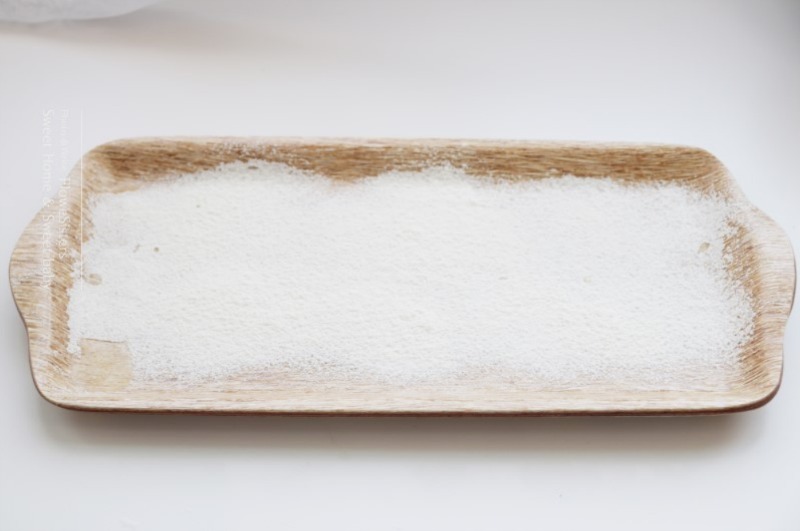 I personally like US flour because I am just more use to that since I grew up with it. A trick the Flower Sisters mentions is to use a colander to help spread the mix evenly. First, spread the mix, then add the meat and spread the mix over the meat, evenly, with the colander again. Anyone who knows how to fry chicken should know how to do this step. I would personally coat each piece of meat separately because that would keep the flour/mix from sticking to the other pieces of meat. So I would coat one and then fry it, coat one and then fry it until they are all done. 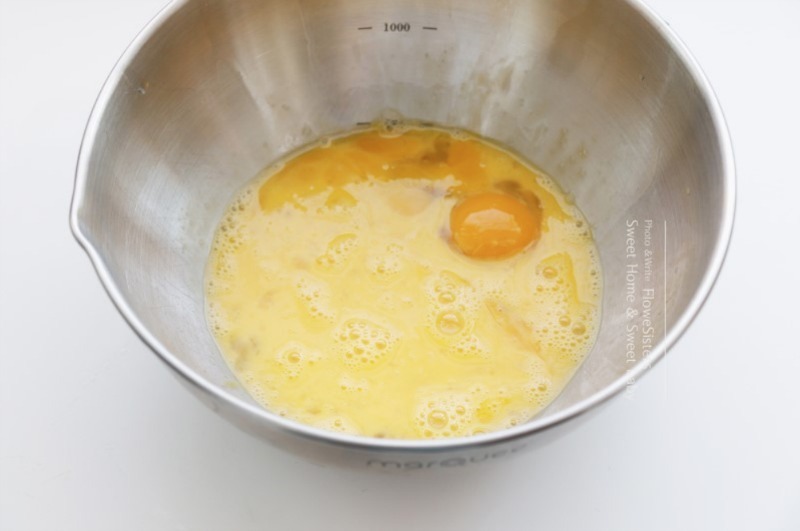 Or I would switch the order and coat the eggs first and then add the flour. This part might come with trial and error. Important point! Never use high heat because it will only burn the egg. Use medium-low heat and use 3-4 spoons of oil. 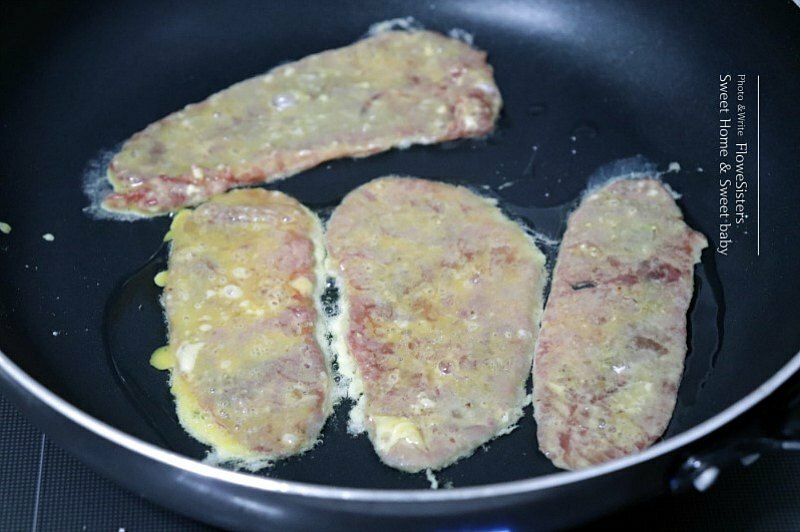 When it is preheated, place the meat on the skillet and flip when you can see the blood coming out of the meat. The surface should be a golden brown color or whatever color you love in your pan fried food. 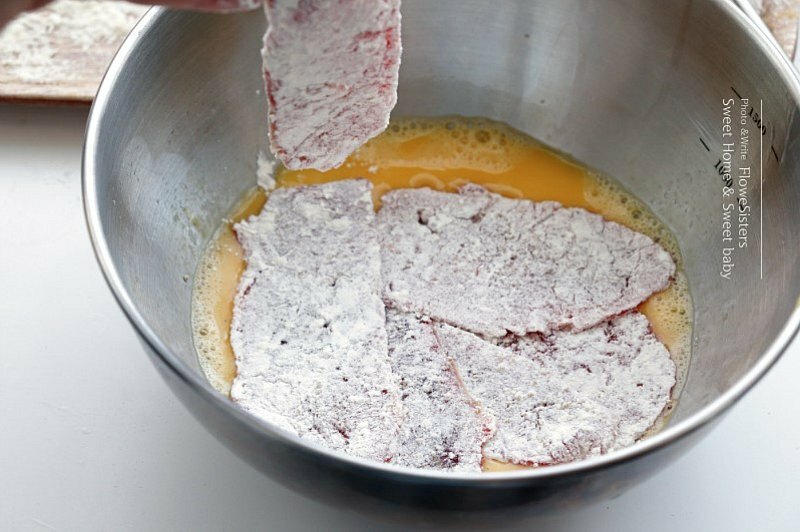 If you want, you can add a garnish to the beef pancake at this step. STEP SEVEN: DRAIN OIL AND SERVE! Drain the oil on a paper towel or any other means you use to drain fried items. But you don’t want the pancakes to get all sweaty, so make sure it has good air circulation. But it won’t need much time to drain until it is time to eat! And lastly, serve and enjoy! I suggest watching 100 Days My Prince while indulging. I’m lifetime Vegetarian so this definitely isn’t happening at my house but I’m really interested to read the recipe and to discover what Beef Pancakes are. I think some subs refer to them as Blood Pancakes, so I really was curious. They kinda look like Swiss Steak without the gravy. I was really curious, too. Are you watching The Third Charm by chance? Maybe we can do ddukbogi (or dukbogi or tukboki) which, I think, does not have any meat in it. Ddukbogi is that really spicy street food dish that everyone eats. Yes, I am watching Third Charm and I would love to learn to make ddukbogi. Please! Food related posts are a brilliant idea! I have often wanted to know more about the foods in various dramas. Thank you @V for this lovely post, i am looking forward to more articles on food. Good to know! We’ll try to work on a few. 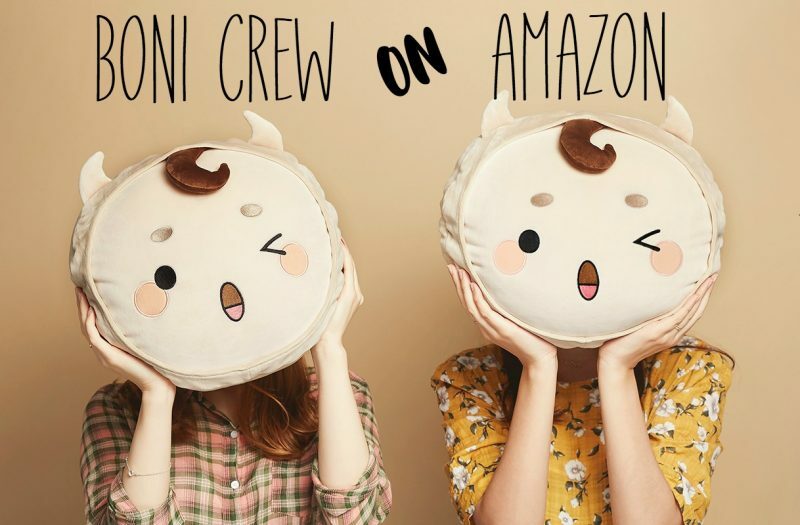 If you have any that you want to know about then let us know! I made some and it’s very tasty. I made this recipe and it was very tasty. Thank you! Make more recipes, please.